Included in all our programs is a user account for our affiliate on 'Beyond the Whiteboard'. This app enables you to record log workouts and track your progress. To read more a please click here. The above 'Join Now' button will setup a subscription, you will be billed immediately and then every month on the same day. Prior to starting CrossFit, one of our coaches will lead you through a Prep Course to get your primed and ready for our CrossFit program. *Prep Course is required for all new athletes who do not have prior CrossFit experience. 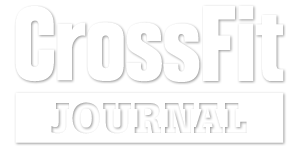 Prior CrossFit experience constitutes 3 months or more at another affiliated CrossFit facility. The 'Ultimate' membership includes two further add-on packages; 'Engine' and 'Train Anytime'. Our 'Engine' class runs three times per week at 6:15am and is a focus class intended for those athletes with specific cardiovascular endurance training goals. 'Train Anytime' is our open gym option for members and grants them access to the gym and facilities outside of normal class hours during the week. These can be added as an option to any current CrossFit membership and are billed seperately with no minimum term contract. Each option costs an additional £10.00 per month. Must be age 17 years or older to enroll. Children age 12 to 16 years may be enrolled in our "Teens" membership, with parent/guardian advance written consent. All membership types are non-transferable, non-assignable, and non-saleable. Month by month memberships are available for an additional cost. Please contact us at box@crossfitworksop.com for further details. Discounted Pre-paid memberships are available. Please contact us at box@crossfitworksop.com for further details. Discounts are available for the second membership for married couples or those cohabitting . Please contact us at box@crossfitworksop.com for the dicount code before joining up. 12 month agreements for CrossFit and F30 are NOT subject to any early termination options with exception of death or disability. After 12 monthly payments, cancellation requests must be given in writing by emailing box@crossfitworksop.com. It can take up to 30 days to process the request. Our CrossFit fundamentals or prep course is designed as an introduction to CrossFit and is a requirement before starting our WOD program. The course covers the 10 basic movements of CrossFit, ensuring that new members have a basic understanding of what is required when they join a class. The goal of the fundamentals course is to establish a proper foundation that will allow maximal long term improvements. The course is run over 3 separate sessions one-to-one with a coach. If you would like to book your fundamentals course then please complete the contact form on our Contact Us page. The fees for the fundamentals course cover your first month's membership so you have the opportunity to experience CrossFit fully.